To rename an object in SQL Server you can use sp_rename system stored procedure or you can do this via Object Explorer in SQL Server Management Studio. Step 1. Right Click on the object in Object Explorer and select "Rename"
Step 2. Specify new name and press Enter. 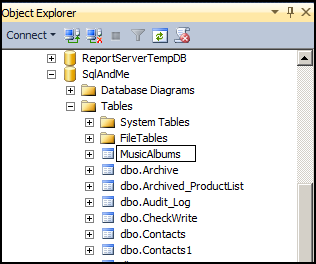 You can rename any object using object in Object Explorer. You can also rename using sp_rename system stored procedure. 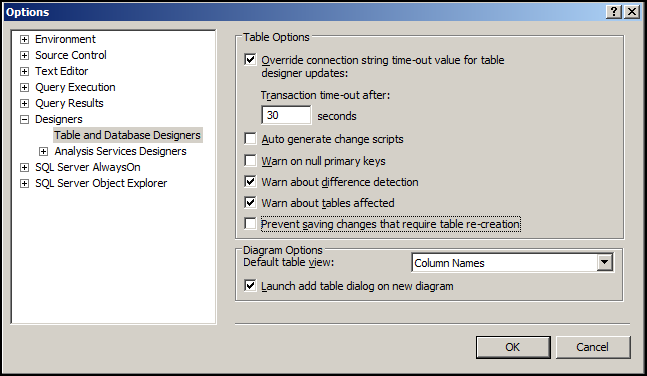 You can verify that the changes have been made by issuing a SELECT against the table using new table name. SQL Server is also nice enough to warn us that renaming an object can break scripts and stored procedures. 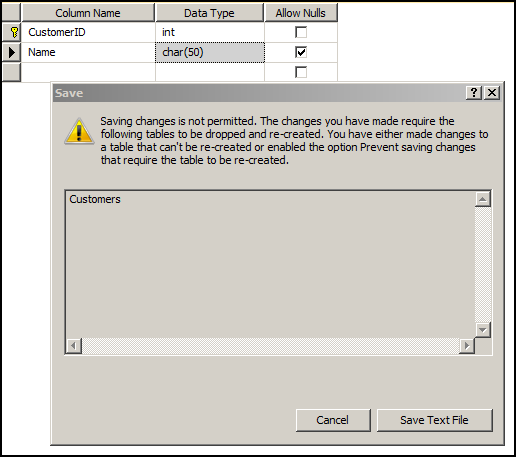 What this means is if you have used table/column names in any script/stored procedure it will not be updated automatically, you will need to go through your scripts/stored procedures manually and update them accordingly. Although, DML and DDL triggers are used for different purposes, there are some similarities and differences between these. 1. There are no INSTEAD OF DDL triggers, they are only executed after the triggering statement is completed. 3. DDL triggers captures information about the event that fired them using EVENTDATA() function. You can easily import data from an Excel file to SQL Server using SQL Server Import and Export Wizard. However, when the data is simple and limited I avoid using it (too lazy to click through 6 screens… 🙂 ) instead I generate INSERT statements using CONCATENATE function in Excel and execute those. This is much faster than using Import/Export Wizard. Note: if single quote (') is the first character in the column, as in Column C; you will need to input two single quotes (''). Also, if table has additional columns which are not being imported then you will need to include column list with INSERT statement i.e. 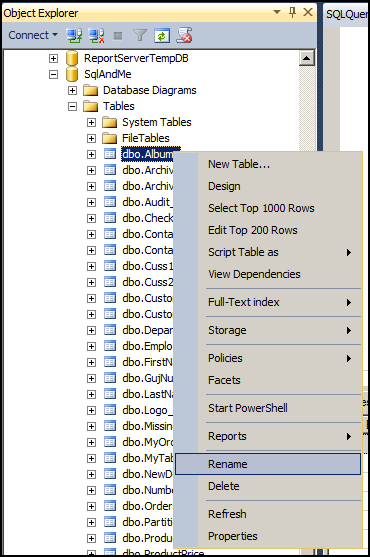 "INSERT INTO dbo.ProductList (Name) VALUES (' " if you are importing only Name column. When it comes to exporting data there are different options available in SQL Server, such as SQL Server Integration Services, Generating Insert Scripts, BCP, Import and Export Wizard and SQLCMD. When it comes to exporting data as CSV file, BCP and SQLCMD are the easiest methods. Both are command-line tools which can be used to export data. SQLCMD –S <<ServerName>> –E –Q "EXEC AdventureWorks2008R2.dbo.uspExport"
-h-1 specifies that column headers should not be exported. You can provide a SELECT statement or a Stored Procedure to -Q switch. In general I use stored procedures as it allows to do any formatting required which cannot be done using SQLCMD. The stored procedure simply returns top5 rows which are to be exported. -T specifies to use Windows Authentication. You can see that there is no padding while exporting using BCP by default, same can be achieved by using -W switch with SQLCMD. If you need to implement any "complex" formatting, such as using delimiter for starting and end of row or change data format you can do this inside the stored procedure created for exporting data. Here I have returned result as a single column with specifying ‘#’ as a delimiter and to denote start/end of a row. So all rows returned by stored procedure will be pre-formatted and -s or -t switches of SQLCMD/BCP will have no effect. To see all switches available for BCP/SQLCMD refer BOL links or execute them with -? at command prompt.